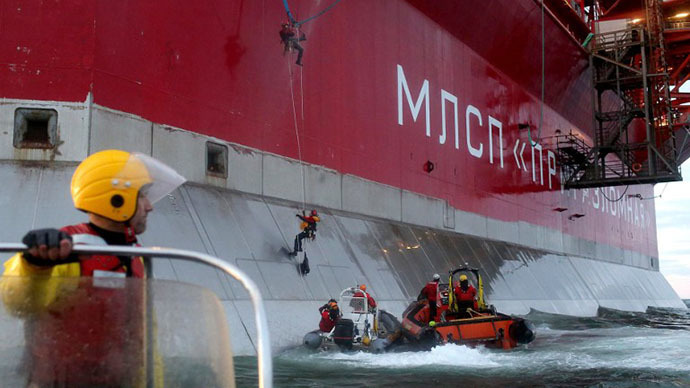 Russia has launched a criminal case into suspected piracy on the high seas over Greenpeace activists scaling an Arctic offshore oil rig before being arrested by border guards. The organization dismissed the allegations as 'absurd'. Greenpeace staged a protest at the Prirazlomnaya oil rig in the Barents Sea last week, saying that if an oil spill happened there it would cause enormous damage to the environment. 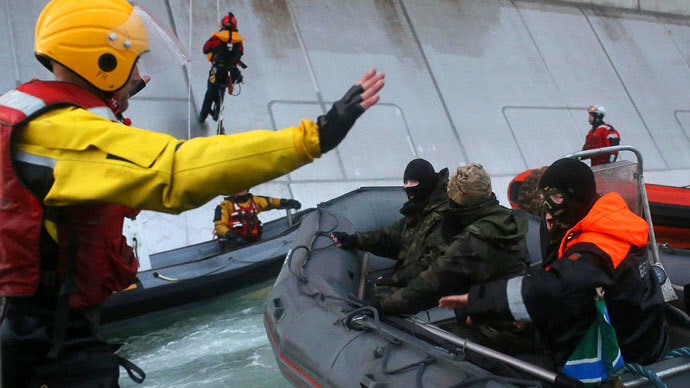 A border guard unit of the Russian Federal Security service arrested 30 activists, including the two who scaled the installation, and towed the ship to the shore. Russia’s Investigative Committee said on Tuesday that it will investigate the incident as a case of piracy committed by an organized group. The crime carries a prison term of up to 15 years, but the prosecution would have to prove that the activists were trying to take over property under threat of violence for the possible charges to hold. Still, spokesman for the committee Vladimir Markin said the investigators have good reasons for their decision to pursue the charge. “When you have a foreign vessel full of electronic equipment of unclear purpose, and a group of persons claiming to be members of an environmental organization attempt to no less than storm an oil rig, you may have legitimate doubts about their goals,” he suggested. Markin added that the rig is located in Russia’s exclusive economic zone, so any alleged crimes committed there falls under Russia’s jurisdiction. “All individuals involved in the attack on the rig, their nationality notwithstanding, will be held accountable in strict accordance with Russian and international law,” he said. Greenpeace has dismissed the accusations of piracy, saying the activists didn’t try to take over any ship and certainly didn’t use force. “In the 42 years of its existence Greenpeace never used weapons. We are against the use of weapons,” Greenpeace Russia spokesman Aleksey Kiselev told ITAR-TASS. He said the organization staged similar protests at rigs owned by Shell, Exon, BP and other oil companies, and none of them suspected Greenpeace of trying to take their property. Kiselev said Greenpeace is now protesting in front of the Moscow HQ of Gazprom, the owner of the Prirazlomnaya rig, believing that the company can stop the prosecution of its activists. Lawyers from Greenpeace Russia are trying to obtain information about the seizure of Arctic Sunrise. However, Russia’s Border Guard Service refused to satisfy the request, saying it does not have the documents. 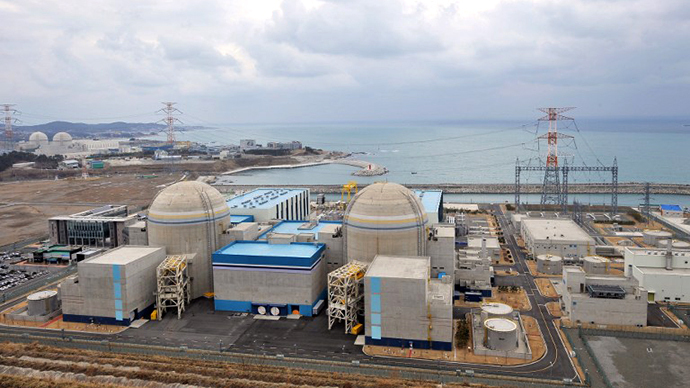 Greenpeace has now filed a request to the Investigative Committee, Greenpeace’s Dmitry Artamonov said. Diplomats from 18 countries, including Russia, the US and Britain, have obtained access to the ship. 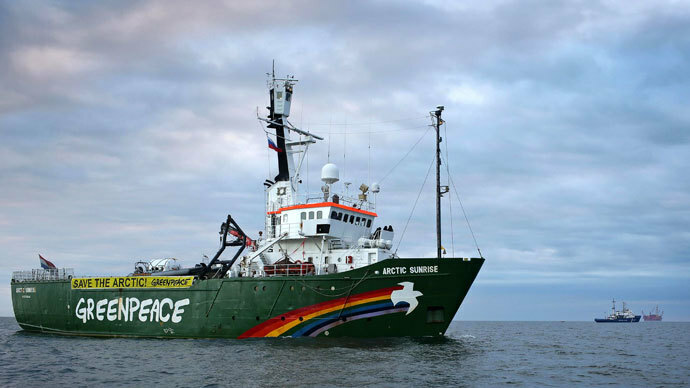 Last Wednesday morning, Greenpeace activists approached the rig in the Arctic Sunrise, a vessel sailing under a Norwegian flag. They closed in on it despite several warning shots fired by a coastal guard boat, and boarded the rig. The border guards used a helicopter to bring in troops on Thursday evening. They arrested the two activists at the rig and then seized the Greenpeace vessel with more activists on board. The ship’s captain refused to cooperate with the guards, so Arctic Sunrise was taken in tow and brought to the port of Murmansk by Tuesday. The 30 detained activists from 16 countries remain aboard. Officials from corresponding embassies will soon be given access to their citizens, the border guard said. Earlier Greenpeace complained that the activists are barred from consulting with their lawyers. The scandal over the Greenpeace action unfolds as Russia hosts an international forum on the development of the Arctic region. Some 700 visitors, including the presidents of Russia, Finland and Iceland, are to discuss possible environmental ramifications of tapping on Arctic’s natural resources, which is bound to happen as the melting of ice and improvements in technology make them more accessible.